California agricultural producers can voluntarily help the monarch butterfly on their farms and ranches through a variety of conservation practices offered by the U.S. Department of Agriculture (USDA). This assistance comes at a critical time as recent reports show the western population of the monarch butterfly is at an all-time low. As monarch butterflies migrate, they must have the right plants in bloom along their migration route to fuel their flight. Producers – especially those along California’s coast and in the Central Valley and Sierra foothills – can play an important role in helping the species. 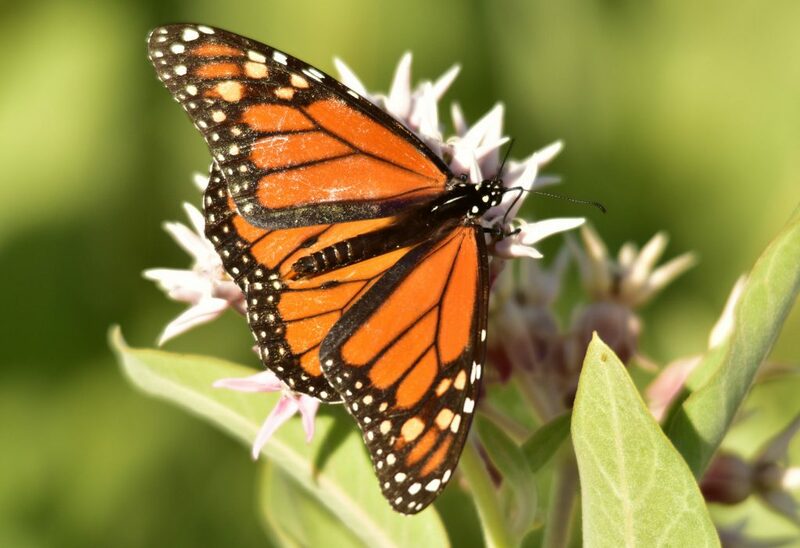 NRCS also recommends California producers to establish plants that bloom in the fall, as monarchs head to coastal overwintering sites, and in the late winter and very early spring, as the winter clusters of monarchs break up. These fall-blooming species include goldenrod and asters, and late-winter species include coyote brush, manzanitas, and native California lilac and other Ceanothus species. More guidance on nectar plants can be found here. NRCS helps producers cover part of the costs for adopting these practices through the Environmental Quality Incentives Program (EQIP) and other Farm Bill-funded programs. NRCS accepts applications for conservation programs on a continuous basis. Producers interested in assistance are encouraged to contact their local USDA Service Center.